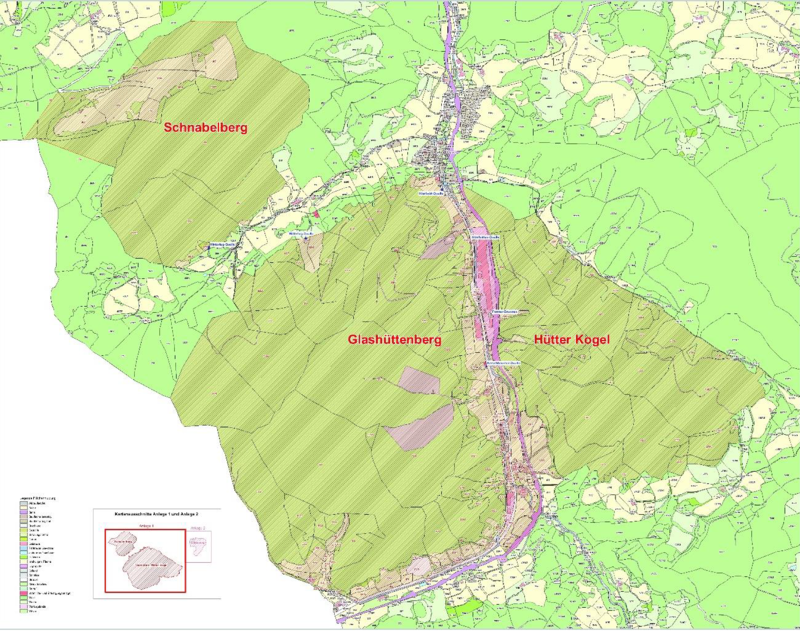 The Pilot Action Area Waidhofen/Ybbs is situated in the Austrian province Lower Austria (Niederösterreich) within the North-Eastern Calcareous Alps of Austria and represents the drinking water protection zone of the city. Objective(s) of pilot actions / Aim of testing in the territorial level The overall aim of testing in PA 1.2 is focused on the Best Management Practices Catalogue (BMP) defined and evaluated within PROLINE-CE. Selected BMP’s within the forested drinking water protection zone (DWPZ) will be analysed with regard to efficiency and fulfilment of their aim. The whole BMP catalogue will be part of the strategy of the municipal department Waidhofen/Ybbs to promote implementation within the DWPZ. Especially for this purpose a PES-scheme (payments for ecosystem services) will be set up in order to motivate the land owners within the DWPZ to implement the BMP catalogue. Expected achievable results + Information transfer to and persuasive efforts with all related stakeholders. + Realization of the PES scheme. + Motivation of the land owners to implement the BMP catalogue through the PES scheme. + Improved knowledge of the main stakeholders with regard to drinking water protection strategies. + Increased public awareness about drinking water protection requirements within the DWPZ of PA 1.2. + Increased awareness about the requirements of drinking water protection among national / regional / local authorities. Expected benefits for national/regional stakeholders The most important benefit for national and regional stakeholders is the learning process related to the BMP Catalogue and the PES scheme, which should bring forward the implementation of the drinking water protection strategy. As this involves also the interpretation of the Austrian Federal Forest Act it will serve as blueprint for various national / regional challenges within drinking water protection zones related to forest management. For national and regional authorities it will be a valuable learning process how to integrate drinking water protection requirements into daily decisions. This learning process will be achieved through intensive stakeholder involvement which actually is far more encompassing than in the defined project deliverables. Expected benefits for local stakeholders The local stakeholders will benefit through a positive handling of the BMP Catalogue and PES schemes, as they are the beneficiaries of improved drinking water supply security. The city council will benefit through the provision of a strategic tool for drinking water protection, which provides for the municipality the possibility to decide how the DWPZ of PA 1.2 is managed. The whole population of Waidhofen/Ybbs and of further villages supplied with drinking water from PA 1.2 will benefit from increased awareness about requirements for drinking water protection and the stakeholder process developed and implemented within PROLINE-CE. Deliverables T2.1.2 can be found here: Transnational report about best management practices and annex 1: Best management practices in PA 1.2. Deliverable T2.1.4 can be found here: Descriptive documentation about PA 1.2. Deliverable T2.1.5 can be found here: Set-up report about adaptation of the transnational concept to PA 1.2. Deliverable T2.2.2 can be found here: Partner-specific pilot action documentation. Deliverable T2.3.1 can be found here: Evaluation report for each pilot action.